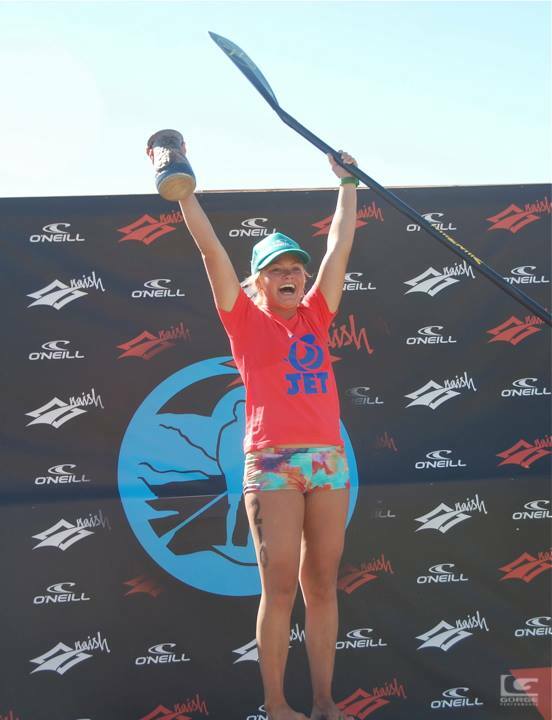 DAY 2 UPDATE: Kody Kerbox and Fiona Wylde have taken out the 2013 Naish Columbia Gorge Paddle Challenge in Hood River, Oregon ahead of a stacked local and international field. Kody beat some big names in Georges Cronsteadt and Slater Trout, while local surprise packet Fiona Wylde put in a commanding overall performance to knock off the likes of Andrea Moller, Candice Appleby and Jenny Kalmbach. Georges won today’s Course Race but Kody took out the overall title based on combined time from the Downwinder. Full results below. 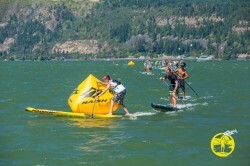 Also check out the Gorge Paddle Challenge PHOTOS for some great shots of the action. DAY 1 UPDATE: Kody Kerbox has just taken out the third of today’s big three races, winning the Downwind Race at the Naish Columbia Gorge Paddle Challenge. The race was a battle between Kody, Georges Cronsteadt and Slater Trout early on, before Kody and Georges pulled clear. 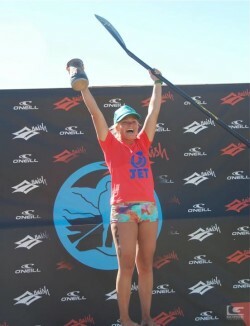 The young Naish team rider eventually ran away with it to finish a minute ahead of the Tahitian powerhouse. Kody capped off a great day for Naish, winning his sponsor’s flagship event on the same day teammate Kai Lenny took out the Sprint Race @ the Hamburg SUP World Cup. The 2013 Naish Columbia Gorge Paddle Challenge is one of the highlights of the racing calendar, with the unique downwind run at Hood River, Oregon considered to be one of the best in the world. There was plenty of wind for the 200+ paddlers today, but it was Kody who reigned supreme. Meanwhile in the women’s race Andrea Moller got one back for Team SIC, taking out the women’s race ahead of some strong local and international paddlers. Take a look at the early results below then check back later for the full results and pics of the action. Then tomorrow we’ve got Day Two at the Gorge, which sees the flat-water course race.